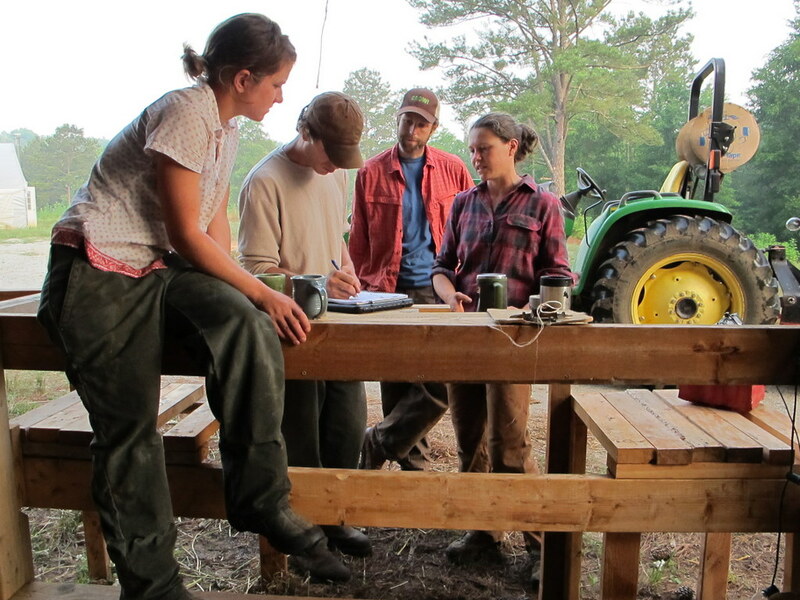 The following post is written to accompany episode 213, on Young Farmers. It’s more of the backstory because we can never tell or show it all in 30 minutes. If you haven’t seen this episode yet, perhaps you’ll want to watch it before or after reading this post. You can do that right now, right here. For some, it’s a calling. For others, curiosity or a restless soul drives them from their big city, downtown offices for a change of scenery and a different pace. And for some, life still offers enough flexibility to plot their course, before tossing their anchor into the sea of life. They’re a new generation of farmers: young, hardworking, and all with a passion for making this world a better place. With the average age of conventional farmers approaching 60, unless a new generation comes along to replace them, while doing so in a more sustainable way, we’ll all be facing a food crisis sooner than later. 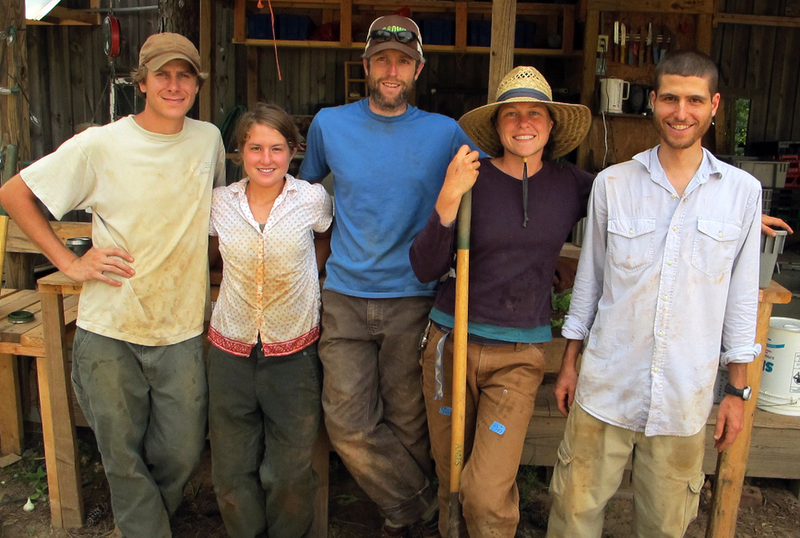 Enter the new superheroes of our food security future—young farmers. If I could go back to that time, perhaps I too would be farming amongst the camaraderie of some of those featured in this episode. Perhaps that’s why for me, this has been such a meaningful and personal story to tell. Although they come from all walks of life, most are highly educated, some with more than one advanced degree. Many times they’re headed towards a career in law, engineering or medicine. But at some point they reach that fork in the road – and take it – for a life no less easy but far more fulfilling. They see the writing on the wall when it comes to what’s broken in our food system and they want to make a difference. They’re not afraid of hard work and willing to give up many of life’s comforts to do their part. 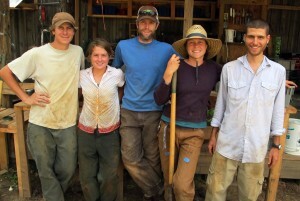 The young farmers of Jenny Jack Sun Farm. 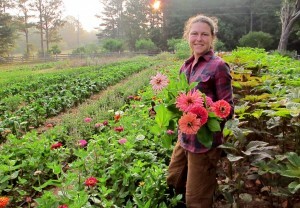 An hour south of Atlanta and nestled amongst miles of a tall forest monoculture, you’ll find Jenny Jack Sun Farm. 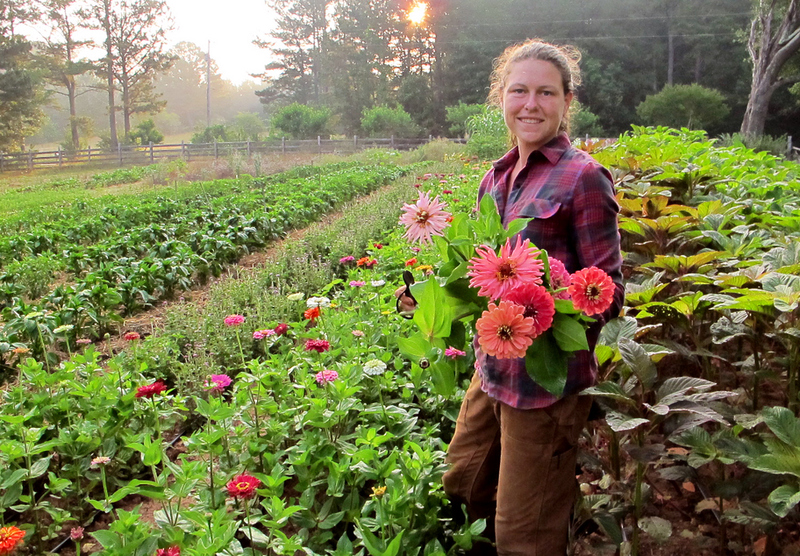 Owners Jenny and Chris Jackson farm organically on just six acres. Each year they offer two apprentice positions. In exchange for modest monthly wages, room, board, and all the fresh veggies you can eat, apprentices work long days. Routine duties include sowing, hand weeding, harvesting, cooking, mending, fixing and more—everything needed by the end of the program to branch out on their own organic faming venture. The accommodations are modest at best. Justin, an ex-New York City corporate non-profit transplant now calls a beat-up, un-air-conditioned travel trailer home for the duration of the program. Janice, his thirty-something apprentice partner recently left her successful medical professional life in search of greener pastures. For the next year, home for her is a one-room loft above the barn kitchen. Both have a 100-yard walk to the outhouse. Serenbe Farms, another Georgia certified organic farm featured in this episode, in many ways mirrors the same story and look. In fact as we traveled the country to prepare, it was uncanny just how similar these programs are. From one to the next, the farmers and apprentices have many of the same reasons for being there; similar goals for how they show up in the world and a common vision for a more food secure future. Yet whatever the reasons, one thing was certain; it wasn’t just about them. 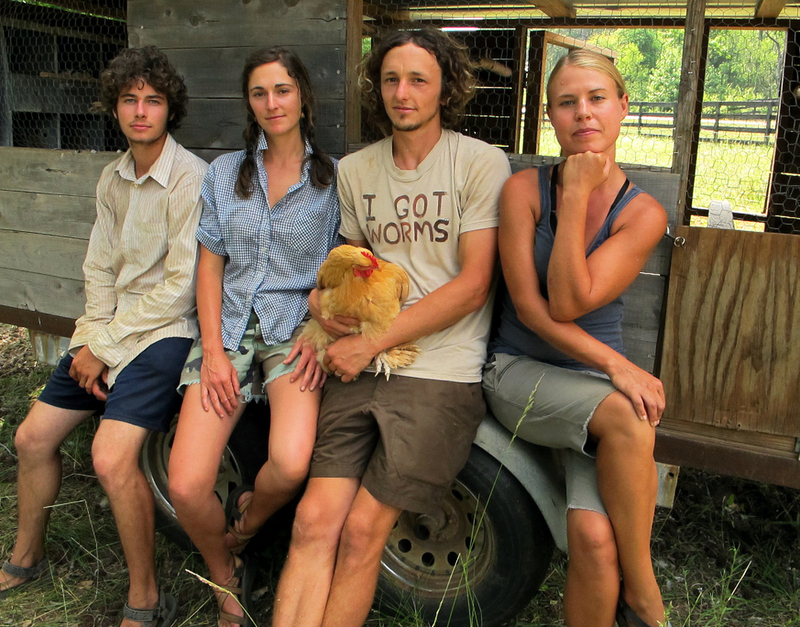 The young farmers of Serenbe Farms. They’re happy. They laugh, cook, play music, work hard, go to bed early, and on a free weekend, sleep in late or head into the city for the day—if they can get a ride. The path to farming in a greener world is vastly different than the typical farmer today. Without the aid of government subsidies, GMO seeds and laborsaving, albeit toxic chemicals, this new generation of farmers is taking the road less traveled and not afraid of doing what it takes to get there. And the best part, it’s the only type of farming they know, and they wouldn’t have it any other way. 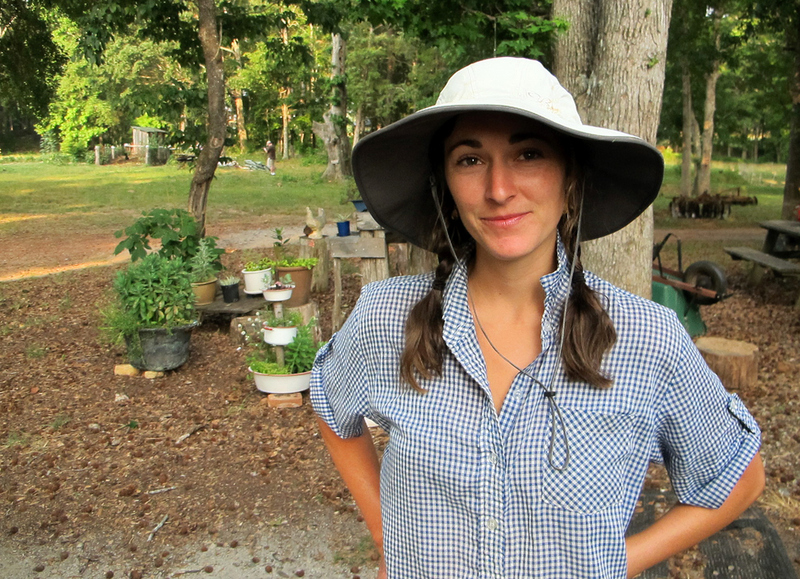 About half way through this segment, Paige of Serenbe Farms is speaking while leaning on a tree. What is that vine she is leaning on? In your episode, you spoke about finding a CSA in my area by zip code. I did not see where to enter my zip code to find out where I could find local groups to obtain fresh vegetables. Please advise. My zip code is 33609. Hi Marguerite. The link you need is http://www.localharvest.org.